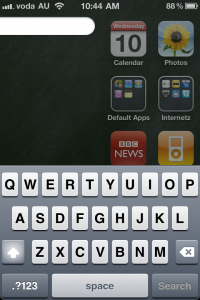 I somehow managed to get my iPhone do this! Why this occurs I do not know! I guess that the animations of are not locked in! Next Post: Learning iOS. Properly!